The powerful heroes and villains, super and regular, that come from the pages of comic books are some of the most recognizable figures in pop culture. Since the inception of comics, almost every generation has grown to identify their favorite characters. Though credit can be owed to the action-packed plots that drive them, their status as cultural icons wouldn’t have peaked without their excellent character design. 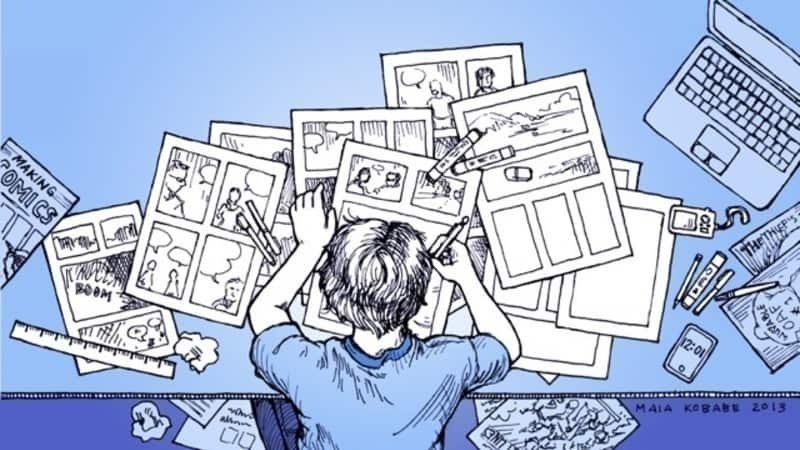 Here are some of the illustrators who shaped style in the comic industry. 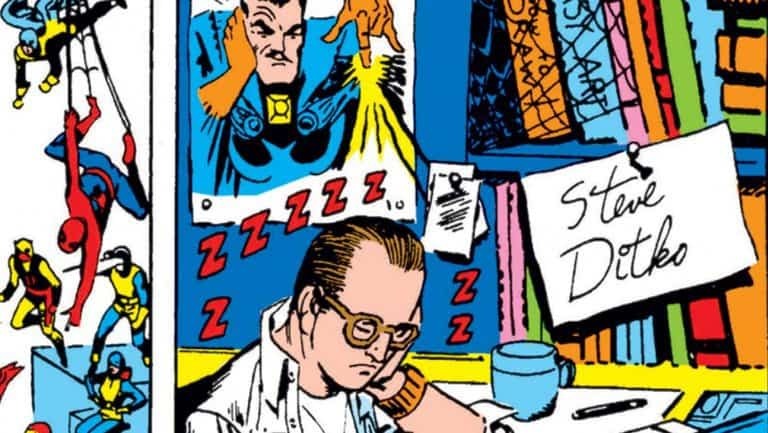 While not as well-known as his colleague Stan Lee, Steve Ditko deserves as much recognition for his contribution to some of Marvel’s top characters. Alongside Lee, Ditko helped create Spider-Man in 1962 and is the lone creator of the Sorcerer Supreme, Doctor Strange. After landing a coveted job at Marvel, he drew up other original superheroes like Hulk and Iron-Man. 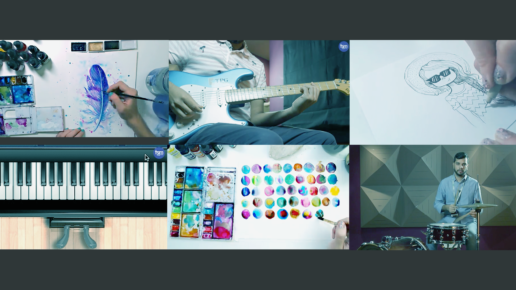 Ditko’s palette is defined by bold colors which accentuate the energy and strength of his characters. Despite his success at Marvel, Ditko later left the studio to illustrate at rival company DC Comics. Fun Fact: Ditko’s characterizations are influenced by one of his favorite philosophers, Ayn Rand. 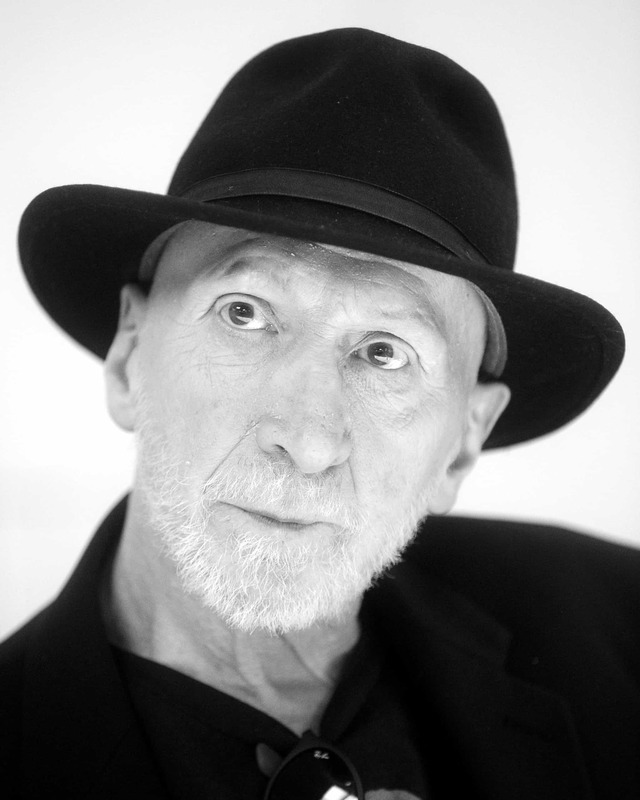 British comics artist Brian Bolland is best known for his cover art and work on Batman. Bolland illustrated the art for the DC Comics 1988 story Batman: The Killing Joke with Watchmen writer Alan Moore. His dramatically darker style took the Joker character to new depths. Graphic details included depictions of the Joker’s violence, painting a deranged characterization of him that was reflected in the psychologically disturbing tone. 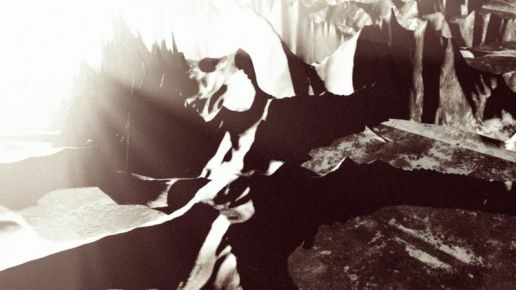 The Killing Joke was so influential that it inspired elements in Christopher Nolan’s The Dark Knight film trilogy. Fun Fact: In addition to comics, Bolland is also an accomplished professional photographer. 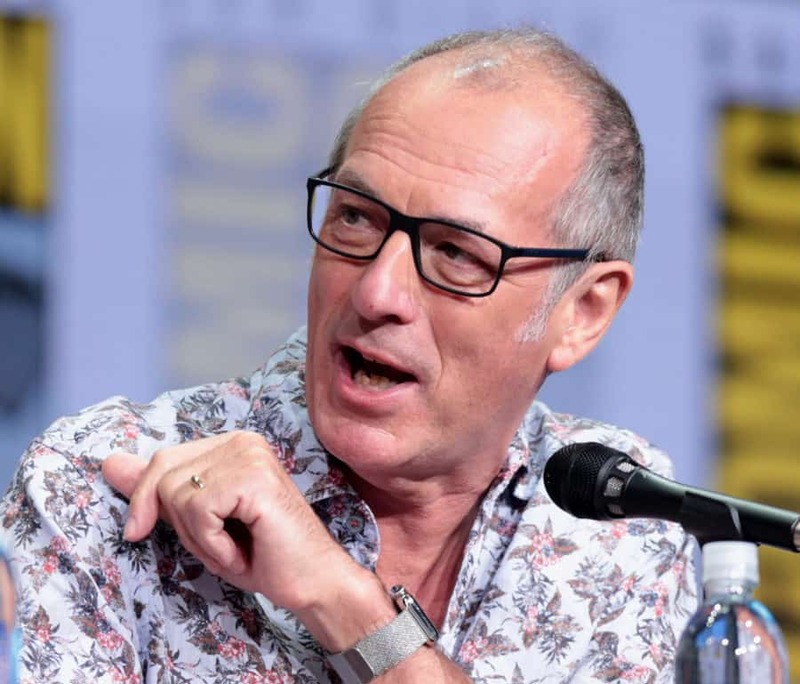 Similarly to Frank Miller, English comics artist Dave Gibbons holds an inclination for exploring themes of modernity and urban life. He received praise for his art in the graphic novel Watchmen and the 1985 Superman issue “For The Man Who Has Everything.” Gibbons addressed philosophical concepts, steering direction away from the fantastical superhero trope to anxieties of the everyday. His style in the graphic novel Watchmen reflects this concept and is ingrained with symbolism and exploration of the human condition. It became one of the most iconic uses of the nine-panel layout structure. Fun Fact: Gibbons has done work on several Doctor Who comics. 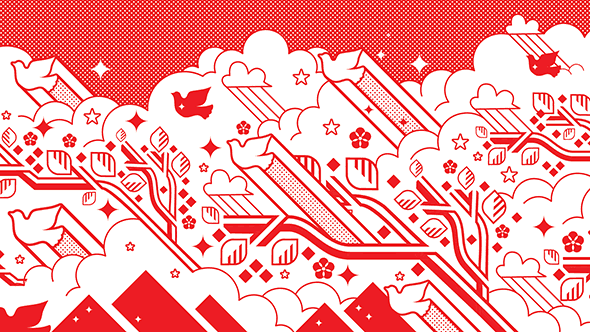 With a career which began in the 1930’s, Kirby is noted for his strength in visual storytelling and maximizing the impact of his art through double-page spreads. Kirby worked with Stan Lee at Marvel Comics, which at the time was known as Atlas Comics. Most famous for being a co-creator of Captain America in 1941, Kirby is also credited for work on iconic Marvel characters such as The Hulk, Avengers, X-Men, Black Panther, and Thor. 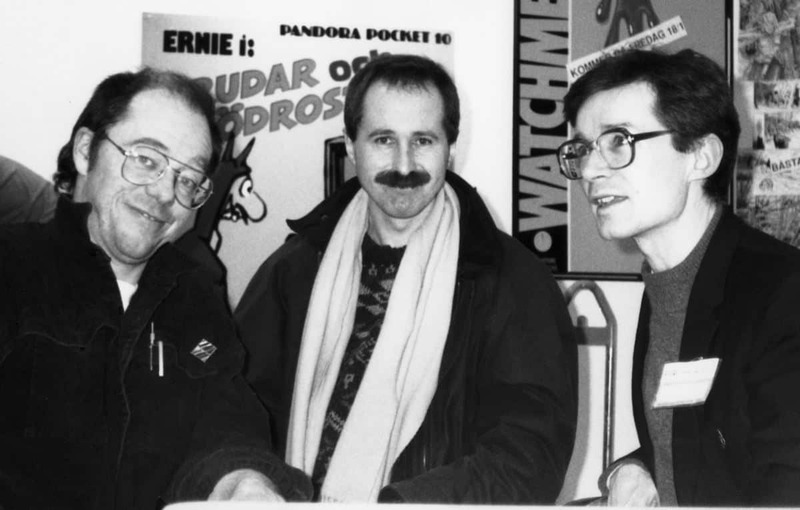 In 1987, Kirby was inducted into the Will Eisner Hall of Fame. His accomplished career was immortalized through the creation of the Kirby Awards in 1985. 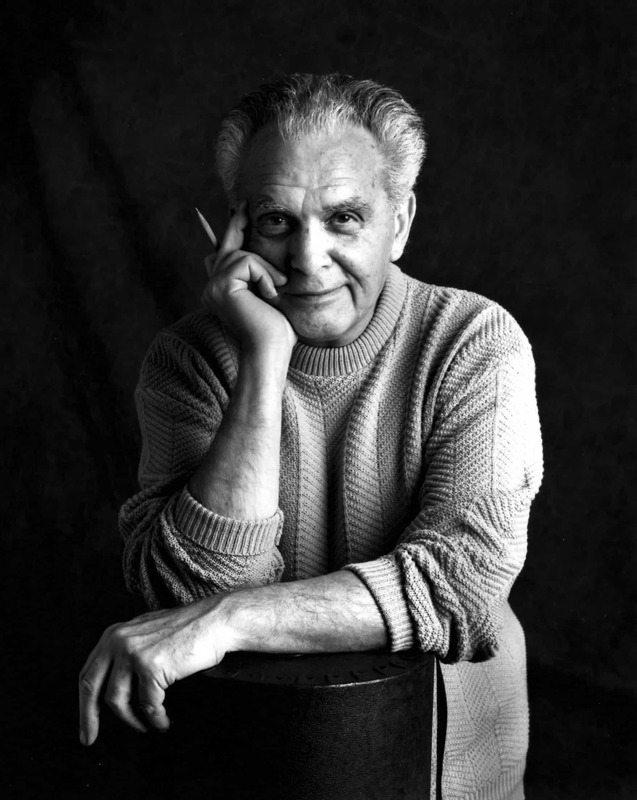 Fun Fact: Jack Kirby’s name is an alias for Jacob Kurtzberg. 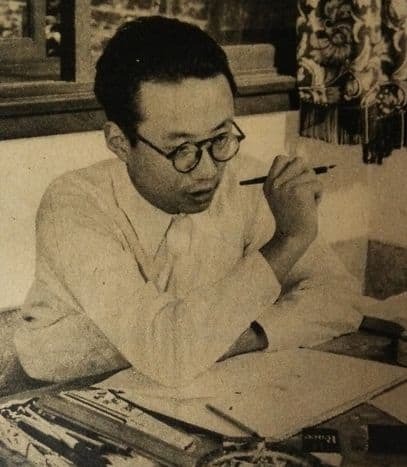 Though the popularity of comics has been concentrated in the US and UK, Osamu Tezuka was the first to popularize the medium in Asia. Known as the “father of manga”, Tezuka’s most beloved creation is Astro Boy which he introduced in 1963, as well as other characters like Kimba the White Lion. Unlike the darker visuals of American comics, Tezuka’s art focused on fun, carefree style which is conveyed in Astro Boy. His work in animation and manga have also led many to dub him as the “Walt Disney of Japan”. Those in both the comics and film industry admired Tezuka for his imaginative art style which had heavy Western influences. Fun Fact: Stanley Kubrick invited Tezuka to lead the art direction for 2001: A Space Odyssey after watching Astro Boy, but Tezuka ultimately declined. 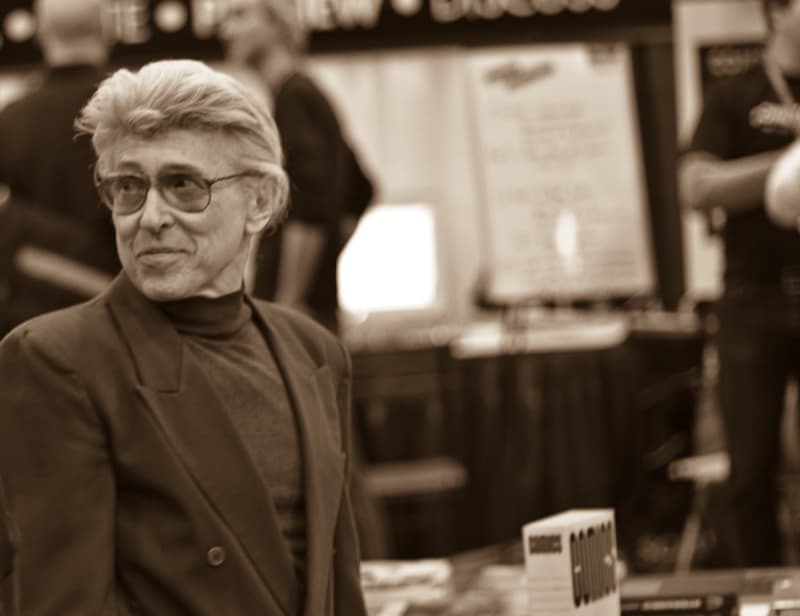 As one of the most distinguished comic book illustrators and writers, Jim Steranko has made notable contributions for Marvel. He first began comics work at Harvey Comics, but Steranko’s enigmatic treatment of the title character in the 1960’s Marvel issue Nick Fury, Agent of S.H.I.E.L.D cemented his cinematic graphic design. His illustrations are infused with a surrealist style, highlighting dynamic scenes within slick, Bond-esque narratives. 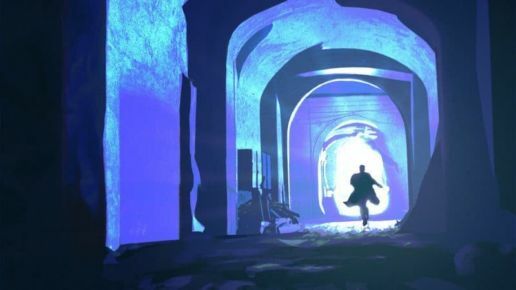 The stylish nature that Steranko infused in his work attracted the attention of the film industry as well, where he contributed character concept designs. Fun Fact: Steranko helped design the character Indiana Jones for George Lucas and Steven Spielberg, his biggest contribution being the iconic bullwhip. Comics fans everywhere revere Frank Miller for his trademark visuals of hyper-stylized film noir. The author of titles such as Ronin, Daredevil, Sin City, 300, and The Dark Knight, Miller is credited with toning the wonder and awe associated with the comics genre down to a contemplative realism. Miller’s bleak and gritty narratives are permeated with meditations on existential dread, urban collapse, and absence of morals. 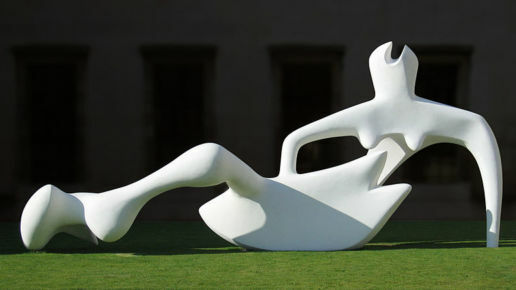 Far from kid-friendly, his work was polarizing among both readers and critics. The controversy surrounding him didn’t do much to dent his career however, leading him to become a 6-time Eisner Award winner as well as numerous other Harvey and Kirby Awards. Fun Fact: The anthology series The Twilight Zone is widely considered his first (uncredited) published work. 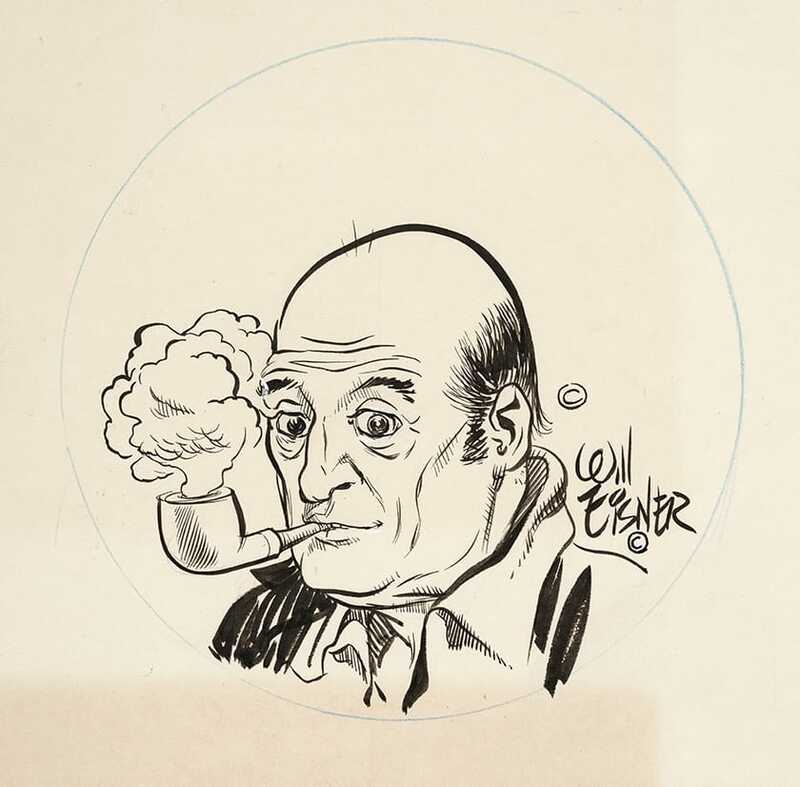 Fun Fact: Bob Kane, creator of Batman, was the person who recommended that Eisner submit his illustrations to the comics publication Wow What a Magazine!